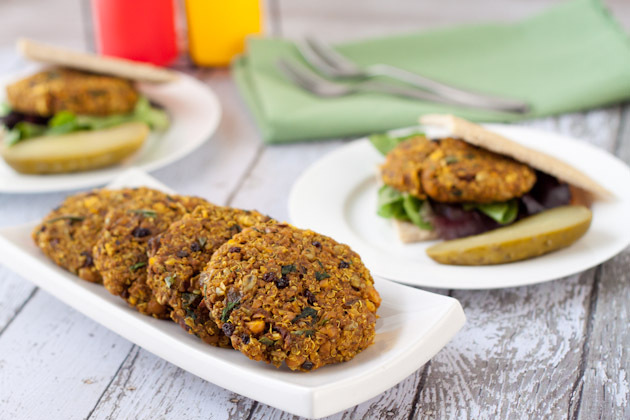 Biryani inspired quinoa burgers with dried currants, curry leaves and sunflower seeds. Shape mixture into burgers and bake in preheated oven for 20 minutes. 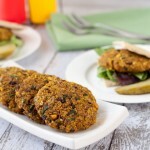 Remove from the oven and allow to cool for 5-10 minutes so the patties hold together nicely.